It’s coming to that delightful time of the year again where plants seem to come alive over those cold winter months, bursting into bloom with a diversity of shapes and colours and displaying their new healthy green foliage, getting ready to soak up that warm sun and spring rain. 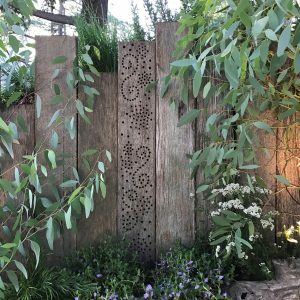 Em Bowen from Birdlife Australia shares her tips on garden design and how to create an aesthetically pleasing garden using native plant species so we can encourage our wonderful wildlife into our backyard. Photo: Holes drilled in timber look great and create a home for insects. By Em Bowen.